Disney said Friday that it is banning them from its theme parks. “We strive to provide a great experience for the entire family and unfortunately selfie sticks have become a growing safety concern for both our guests and cast,” said Disney spokeswoman Kim Prunty. The ban kicks in Tuesday at Walt Disney World in Florida and Disneyland in California, along with other Disney-run theme parks in the U.S. The ban goes into effect at Disneyland Paris and Hong Kong Disneyland on July 1. 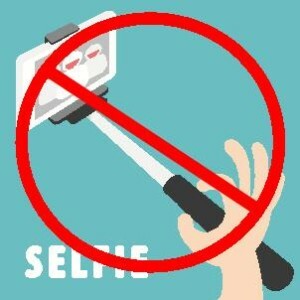 This is an expansion of Disney’s (DIS) ban on taking selfie sticks on its rides, like the Magic Kingdom’s Big Thunder Mountain Railroad and Space Mountain. Even with a ban in place, Big Thunder Mountain Railroad had to be stopped numerous times because of visitors hazardously whipping out the three-foot sticks while riding the rails.